For angle grinders with M14 thread. 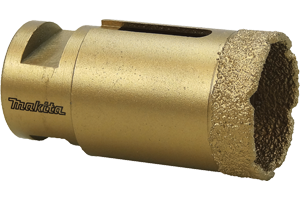 The Vacuum brazed diamond holesaw features a rim of high quality diamonds, that are vacuum brazed to the leading edge. This material joining process creates a bond, which is significantly stronger, than alternative methods.